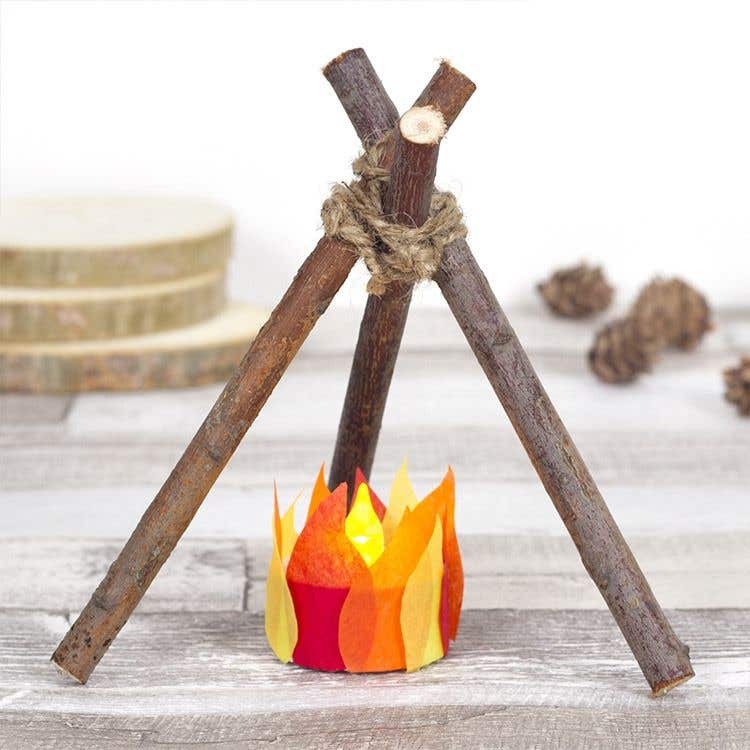 This mini bonfire tealight craft makes a perfect home decoration for bonfire night. Cut approximately ten little raindrop shapes out of the red, orange and yellow tissue paper sheets. Cut a strip of double sided tape, wrap it around the edge of the LED tealight and peel off the top layer to make it sticky. Then stick the tissue paper shapes around the tealight, slightly overlapping each one. Take two of the willow branches and hold together in a triangular shape. 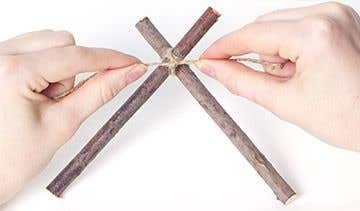 Then use the twine to tie the ends of these two branches together at the top. 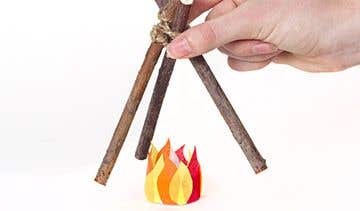 Add a third branch to the two branches that you tied together, and angle it so that it is pointing away from the others. Then use the twine to attach them all together. Place the branches on top of the tealight. 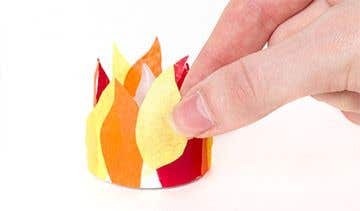 When the tealight is turned on it shines through the tissue paper to make it look like a real bonfire.